What should have been a short taxi ride instead turned into a nightmare for one woman who says the driver, whom she booked through the Uber app, became violent and refused to let her out of the taxi. "It’s not like he’s letting me out, so I don’t know what to do," said Chicago resident Jacqueline Cardona. "I’m pretty much stunned and I’m very scared for my life." Cardona said the driver nearly missed the turn to her house, and when she pointed that out, he lost it. "In a split second he just went completely nuts," she said. "I mean, we’ve all had drivers that are maybe having a bad day. Maybe you want to tell them how to drive, but this was beyond that. This was rage coming out of this man." She said the driver pulled over twice and got out of the car, shaking his fist and berating her. But she said he also blocked her from getting out of the taxi. Cardona realized she was in trouble when she said the driver got back in the car and made a U-turn, heading in the opposite direction from her house that was just two blocks away. Cardona’s Uber receipt shows the driver turned off the meter just a few short blocks from her home. But she said the ride did not end there. It was Superbowl Sunday. The streets were empty at the time because because Chicago was getting hit with the worst snowstorm of the year. As a snowplow approached, the driver slowed and swerved to let it pass. Cardona saw her chance. "In that split second, I just opened the door and jumped out of the moving vehicle and ran home in the blizzard," she recalled. Cardona called police, and nearly three weeks later, the driver, Saeed Omar, turned himself in. 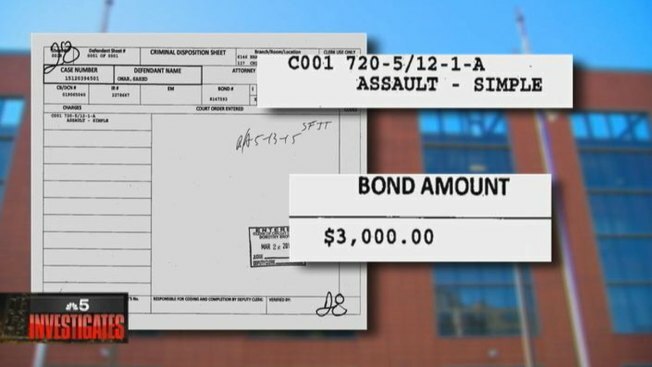 Court records show Omar was charged with simple assault and released on $3,000 bond. According to city records, Omar received a chauffeur’s license in 2007 but now only has a temporary one. NBC 5 Investigates discovered the 35-year-old Somalian is under investigation because of something that happened in 2013. The city won’t provide details on that case. The temporary license means Saeed can still drive a regular city taxi. But an Uber spokesperson said Omar has been deactivated from driving for the company since the alleged Feb. 1 incident. Chicago's Department of Business Affairs and Consumer Protection called the allegation "serious" and said the department was working with the Chicago Police Department on the "ongoing investigation." An NBC 5 Investigation last year revealed flaws in Uber’s background checks that allowed some drivers to get hired, despite having criminal records. 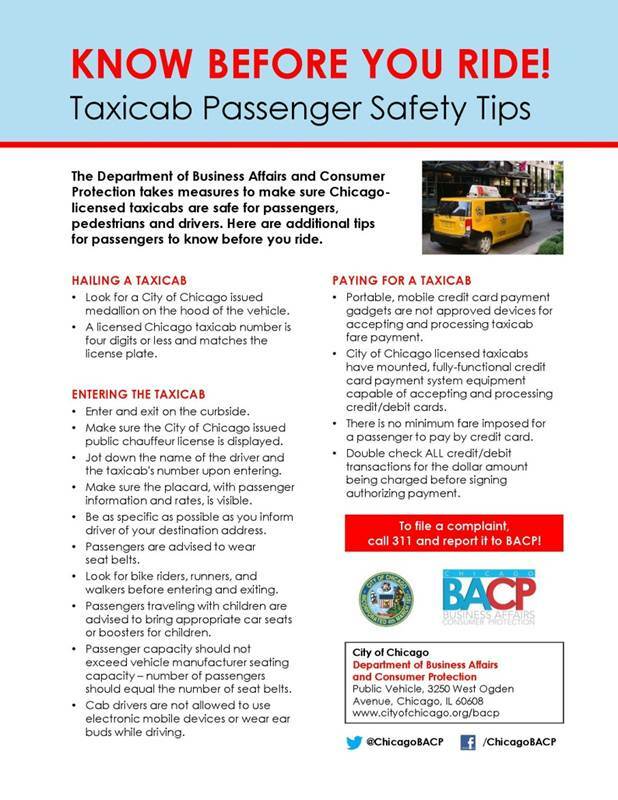 "People need to understand that they are putting themselves in a very compromising position in the fact that these drivers are not well-vetted," said Rebecca Walls with Who’s Driving you?, a public safety initiative funded by the Taxicab, Limousine & Paratransit Association. Walls cautions riders that they have little recourse when taking a ride in a vehicle contracted by Uber. "Uber terms and conditions explicitly state that anything that happens in their vehicle, they are 100 percent not responsible," she said. Since NBC Chicago's initial investigation, the City of Chicago awarded Uber a license to operate here on the condition the ride-service company implement new, stricter security measures to protect riders. Those safety changes include an in-app "panic" button, stricter background checks, and the requirement of an identifying emblem on all Uber cars. The BACP spokesperson said all publically-licensed chauffeurs are required to pass a background check and random drug and alcohol testing, as well as complete an education curriculum, which includes a safety training component extensively covering areas including driver’s personal safety, defensive driving and passenger safety. Any rider who feels their safety is compromised should call 911. Similarly, anyone who has been refused service should call 311 to file a complaint, the BACP said. An Uber spokesperson said that since the beginning of 2015, seven drivers with Chicago chauffeur’s licenses have failed that company's background check. That's a step in the right direction, said Cardona, who warns that what happened to her is still a cautionary tale. "For myself as a woman, you are always vulnerable," she said. "But there are a lot of folks that can be in danger with these guys." Saeed has no prior arrests. This case is set to go to trial this summer. If found guilty, he could face up to 30 days in jail.